Business process automation has now become a necessity that improves the competitiveness, reduces costs and improves customer experience. You can automate email communication, application submission, complaint processing, logistic processes, data backups, data collection from different systems with follow up reporting and much more. One of the greatest benefits of automation is that it does not interfere with existing corporate infrastructure, which greatly reduces implementation time compared to other solutions. Robotisation allows for job optimization and creates space for addressing more sophisticated tasks. Faster and more effective communication and request processing increases customer satisfaction. Automation tool implementation improves and streamlines business processes. Process automation takes place quickly with no costly integration or redesign of existing IT infrastructure and processes. Automation leads to lower error rates and ensures unified processing of identical tasks through unified procedures. With automation, your system can handle tasks at any time, 24 hours a day, 7 days a week. Email or chat bot can identify message content by a semantic analysis of the text and, based on the predefined logic, respond to it. 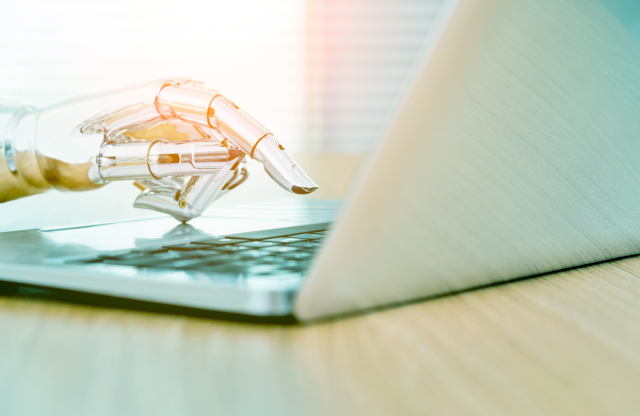 Thanks to the semantic layer, this type of bots can recognize not only the key words and their synonyms but also the context of the message or mail. Any requests or forms the processing of which can be classified as a routine activity can be handled by an automation bot for you. In addition to identifying the requested content, a Task Bot can communicate with the user, ask for missing data, send an answer and record all requests into required systems. In addition to cost optimization, it increases customer satisfaction, speeds up request handling and eliminates human error. With the integration of so-called reporting bots, you can get required data from existing corporate systems in real time and in the desired structure. The advantage of bots is their versatility and ability to read data from different sources. Bots let you tailor reports to end-users’ needs, and send them alerts in case of any irregularities. If you are interested in some other type of automation not listed in our offer, please send us a description of what you have in mind. We would be happy to meet with you for a non-binding consultation. You may already know what you want to automate, but you don’t know how. You may have set KPIs and you suspect that automation could help you. Book a consultation with us. We will help you identify automation opportunities and outline possible solutions. If you like our initial proposed solution along with the estimate of possible costs, we can start making a detailed analysis of your processes, based on which we prepare a Proof of Concept (PoC) for you. After PoC approval, we implement the designed solution into real-life operation. Since we want to be part of your success, it is in our interest that the implemented solution works as efficiently as possible. Did a process change in your organization? Have you added other systems or steps that you need to add to the process? In all such cases, Soitron provides post-implementation support and updates of the automation we have designed for you, as well as monitoring of the entire process. Sazkabot from Soitron handles almost one fifth of Sazka’s all incoming chats.